All our perfumed lotions are inspired by the original formulas of perfumer Joseph Lagrange, born in 1844 in Amiens, France. Young boy, Joseph was amazed by the natural smells and colors of the flowers that surrounded him and very quickly, he began to create original perfumes, with floral notes, inspired by nature. 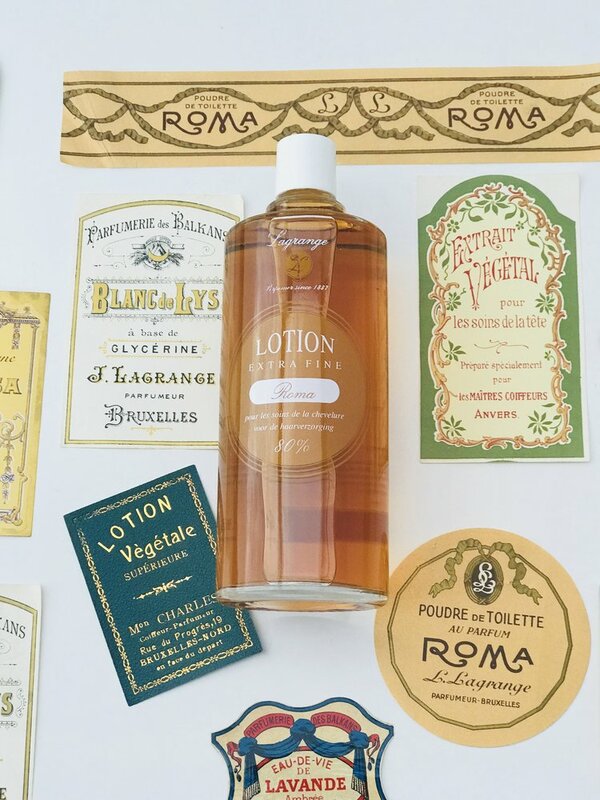 The original recipes have transcended the generations and the classic lotions from the Lagrange Perfumery collection manufactured by Codibel are still relevant today. There are perfumes of narcissus, violet, lilac, lavender, vanilla, lily of the valley and of course, the signature lotion, the "Roma" with oriental fragrances and citrus notes. The lotions are manufactured and mixed by hand, macerated and then filtered through compressed paper filters, without chemical agents. Each bottle is hand-picked individually to be screen printed or labeled and then filled with its corresponding lotion, to finally be delivered to your home or salon.